The 12 tips to know about parenting a child diagnosed with Autism Spectrum Disorder. Learn about Autism Spectrum Disorder. Read as many books as you want! It will put your mind at ease to be doing something and better yet you will feel more equipped to make informed decisions for your child. Become involved in local communities and/or societies that are available. These communities can provide emotional support and they promote advocacy for your child when necessary. Educate yourself about the treatment options, ask questions, and participate in all treatment decisions. Here is a chart that I have found useful in explaining treatment options to parents. SOURCE: Parents Guide to Asperger’s and High Functioning Autism by Sally Ozonoff. Use of clear objectives that are measurable. Teaches skills and provides practice with peers. Best for individuals with good insight. Become an expert on your child. Figure out what are their triggers for “bad” behaviors are. Figure out the need behind the tantrum. Also, determine what produces a positive response. What does he/she find stressful? Calming? Uncomfortable? Enjoyable? Accept your child, quirks and all. Enjoy their special idiosyncrasies, celebrate small successes, and resist comparing your child to others. Reward eye contact and appropriate social interactions. 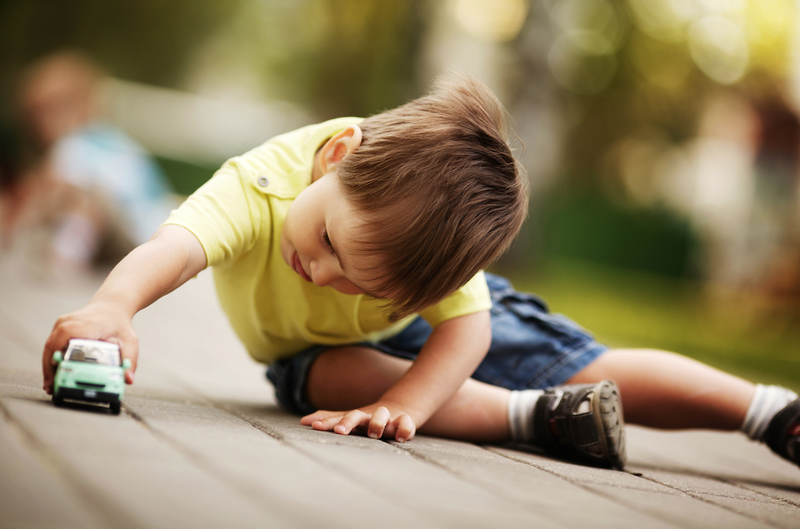 Children with Autism tend to do best when they have a highly-structured schedule or routine. If there is an unavoidable change try to provide advanced notice or a visual cue. Reward good behavior. Make an effort to “catch them doing something good.” Praise them when they act appropriately, be very specific about what behavior they’re being praised for. Also look for other ways to reward them for good behavior, such as giving them a sticker or letting them play with a favorite toy. Create a home safety zone, design a private space in your home where your child can relax, feel secure, and be safe. You may also need to safety proof the house, particularly if your child is prone to tantrums or other self-injurious behaviors. You don’t need to talk in order to communicate and bond. Learn to pick up on the nonverbal cues that children with autism use to communicate. Pay attention to your child’s sensory sensitivities. Many children with autism are hypersensitive to light, sound, touch, taste, and smell. Don’t give up. It’s impossible to predict the course of an Autism Spectrum Disorder. Don’t make assumptions about what life will be like for your child. Like everyone else, people with Autism have an entire lifetime to grow and develop their abilities. Social Skills can be developed and learned similar to all of their other skills. Finally, take care of yourself. Caring for a child with an Autism Spectrum Disorder can demand a lot of energy and time. Join an autism support group, it is a great way to meet other families dealing with the same challenges you are. Take breaks, every parent needs respite now and again. Ask for help from friends, family, and professionals! Individual, marital, or family counseling is beneficial if stress, anxiety, or depression is affecting you.